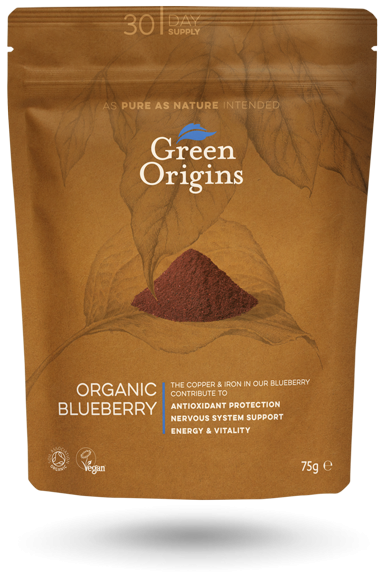 Green Origins Blueberry Powder is sourced from Chile, which provides the ideal climate for producing high-quality blueberries. Blueberries have a high antioxidant content, which reduces oxidative-stress cell damage. Its wide array of nutrients also help to support the nervous and immune systems. Blueberry powder provides an easy way to incorporate more nutrients in your diet by simply adding it to smoothies or sprinkling it on foods. Blueberries are a source of copper and iron, which contribute to antioxidant protection and support the nervous and immune systems. Blueberries have a high ORAC score for antioxidant content, which measures oxygen radical absorbance capacity. Antioxidants are known to provide powerful relief from oxidative-stress cell damage. Their additional nutrients, such as magnesium and potassium provide energy, and help to reduce stress and fatigue. We recommend that you take up to 1-2 teaspoons per day. Blueberry powder can be added to smoothies, juices or sprinkled on foods. Store your Blueberry Powder in a cool, dry place. 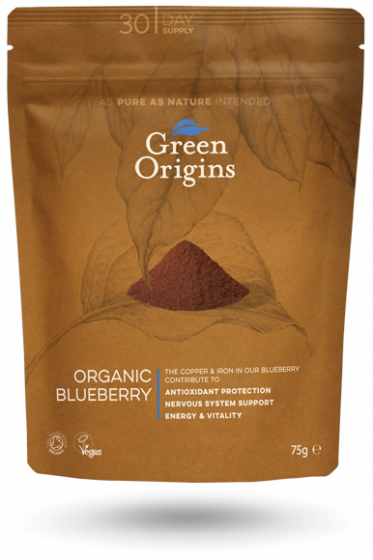 The blueberries that go into Green Origins Blueberry Powder are harvested by farmers who use equipment to shake the fruit of the bush. 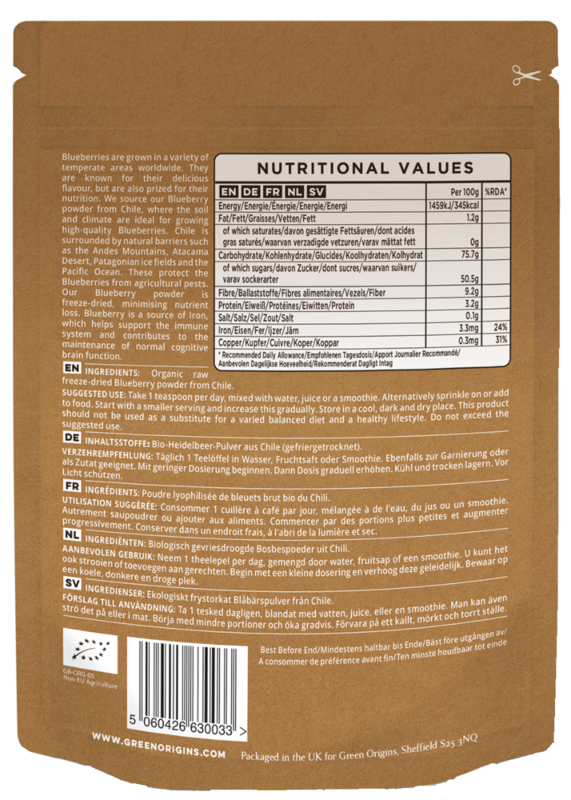 It is then cleaned, packed and processed into freeze-dried powder, to minimise nutrient loss. 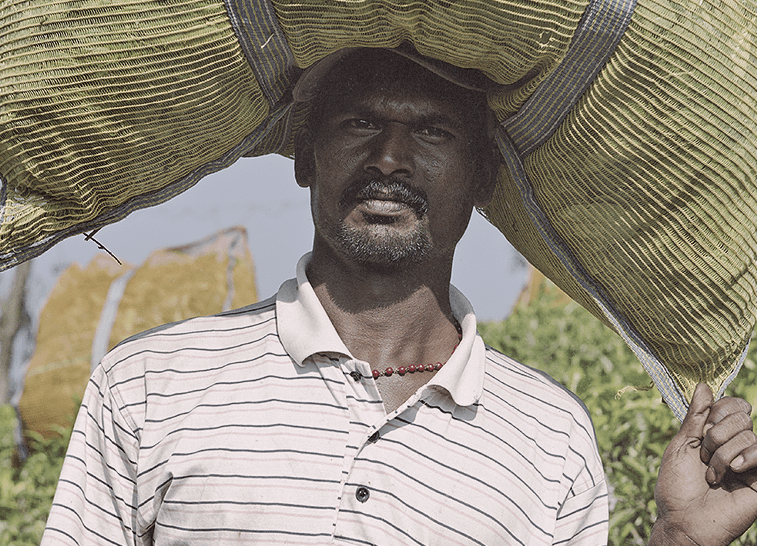 We source our blueberry powder from Chile, where the soil and climate are ideal for growing high-quality blueberries. Chile is surrounded by natural barriers such as the Andes Mountains, Atacama Desert and the Pacific Ocean, and these all help to protect the blueberries from agricultural pests.